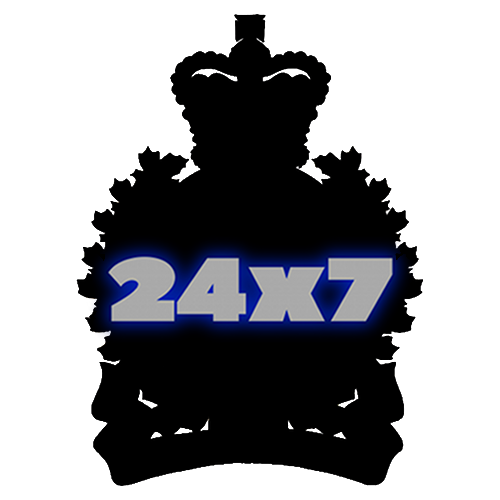 We’ve decided to name this blog “24×7”, Police are on patrol 24×7 and here you’ll be able to read about events that occur at any hour of the day and on any day of the week. In the shift diaries I’m hoping to give you a glimpse into our daily activities without revealing ongoing investigations or identifying people that I’m in contact with. We really do see some things that are humorous, stranger than fiction, incredibly tragic or awe-inspiring and motivational. I can appreciate that not every contact with the police is a positive one. Some people will only come in close contact with us when they are in crisis or have become a victim of crime. For others, we seem to only be around when it’s time to point out they’ve done something wrong. As a technologically inclined officer, I’m hoping to reach out to you with this, at your convenience, and provide you a sense of what we’re doing and why. My previous experience helps guide my decisions and my discretion, perhaps some insight into those experiences will be interesting to you. One part of the Delta Police strategic plan is to utilize leading edge technology to achieve excellence in Policing. I’m excited to be a part of the expanding push to use social media to connect the community and the police in an effort to facilitate our mission of instilling public trust and confidence. I’m quite interested in your feedback after you’ve had a chance to read some of the writing here. I’d like to know what you find interesting, what you’d like to read more about or how I can tailor the content to suit my audience. I’d encourage everyone to visit the Feedback Page and drop me a line from time to time. You can also rate the posts to give me a quick gauge of your thoughts on the block.